Rock musical Hedwig and the Angry Inch fills the tiny Gordon Best Theatre stage, spills out into the crowd for audience interaction, and rocks the entire place. Filled with numerous jokes, Peterborough references (nice touch) and androgynous '70s glam rock, this play by Peterborough theatre collective Art For Awareness will have you toe tapping as Hedwig and his "begrudging" band The Angry Inch (played by Ian Jack, Sean Veecock, Geoff Bemrose and Kyle Nurse) belts out numerous tunes. The story is told as a type of monologue by Hedwig (played by Jeff Schissler) who takes you through the main character's life highs and lows, and is supplemented through great music and a fantastic range of emotion. 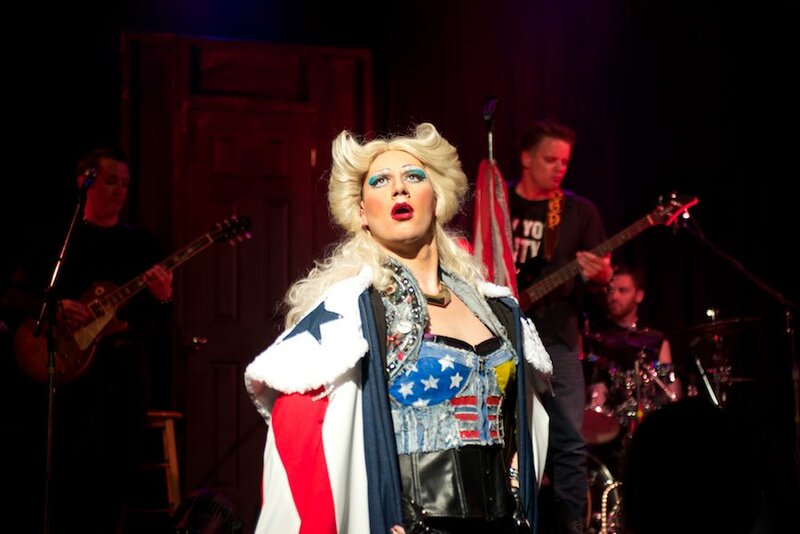 Hedwig and the Angry Inch is another powerful production by Art for Awareness. The show runs September 24th to the 27th, each night at 8 p.m. at Gordon Best Theatre, with an additional 11:30 p.m. performance on the 26th. Tickets are available online and at the door with partial proceeds going to CMHA's Gender Journeys program and Peterborough Pride. Follow Art for Awareness on Facebook and Twitter.